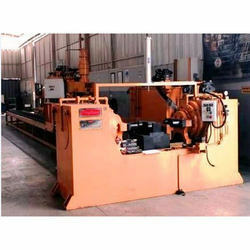 We are one of the leading manufacturer of Undercarriage Rebuilding Machinery. We are engaged as the leading manufacturers of Undercarriage Rebuilding Machinery from past many years. These machineries are manufactured using the best quality tools and advanced techniques that make these machines look attractive and reliable. They are highly durable in nature and are passed through various parameters that assure its quality. Furthermore, we are offering these machineries in no time constraint and at very reasonable prices.